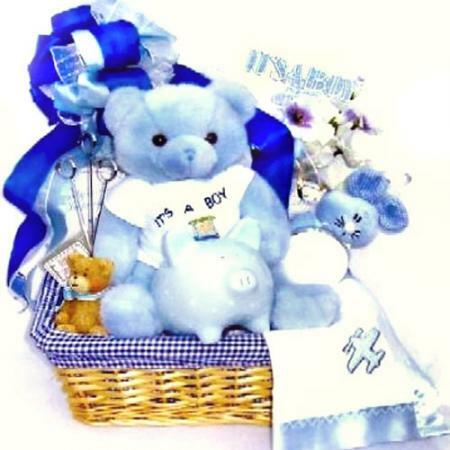 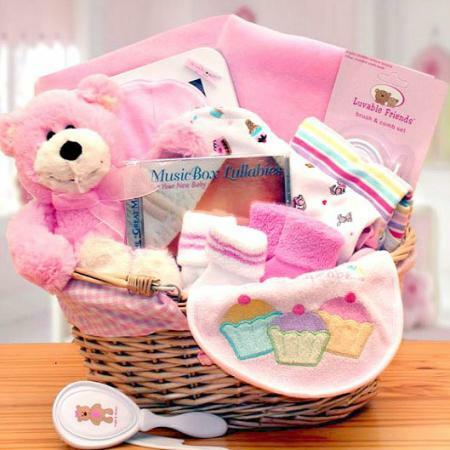 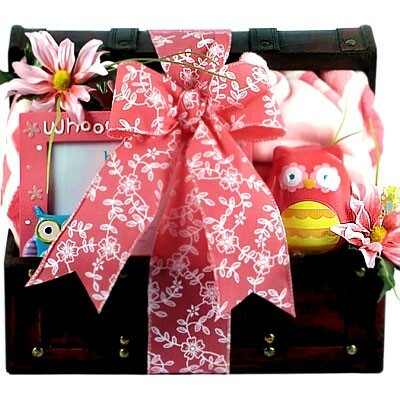 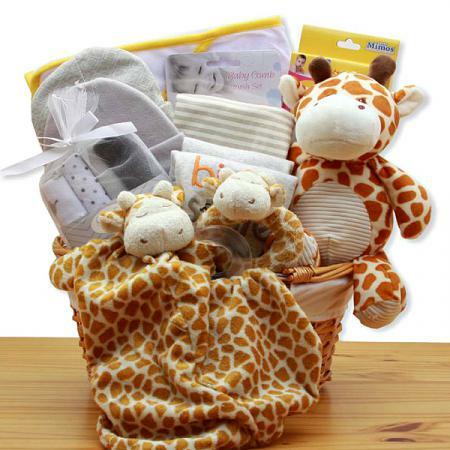 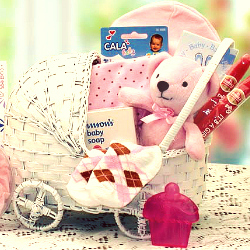 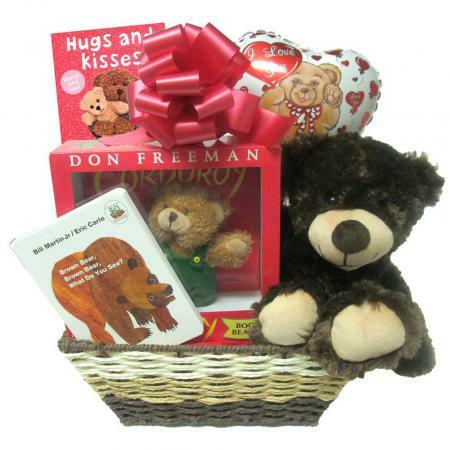 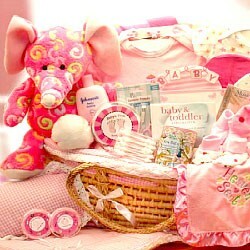 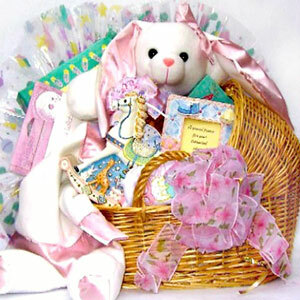 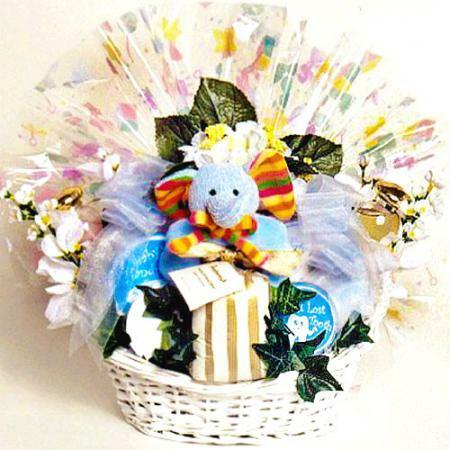 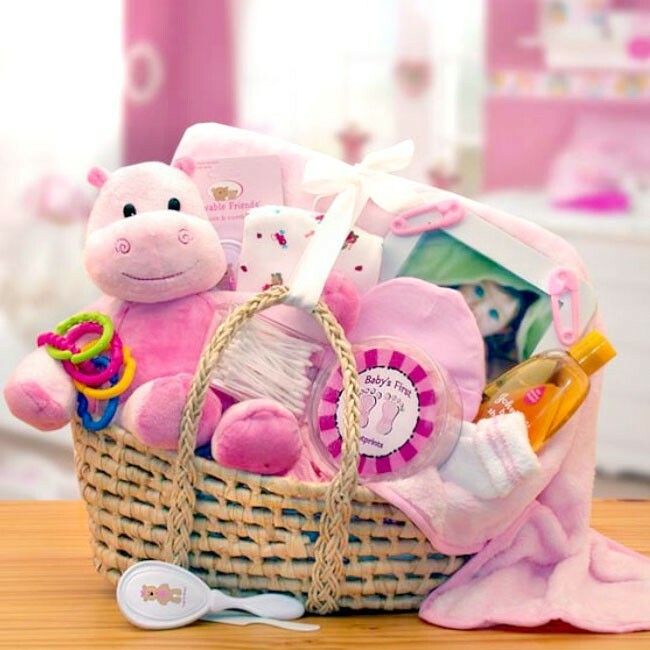 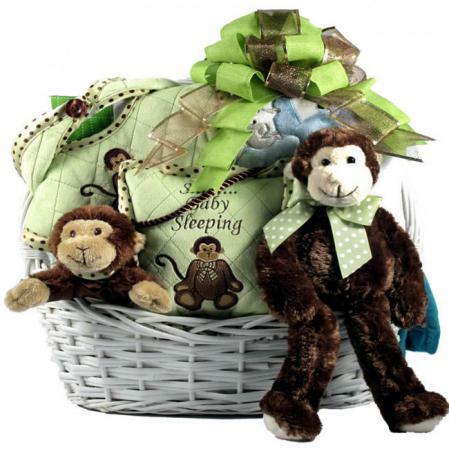 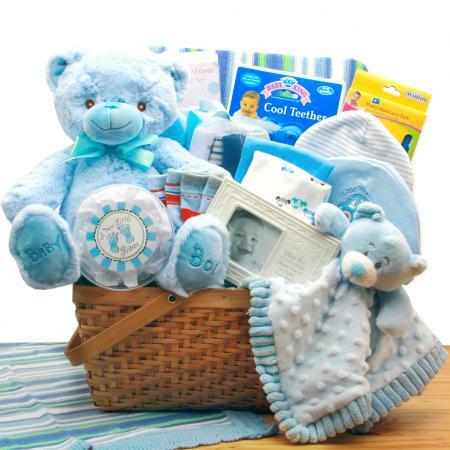 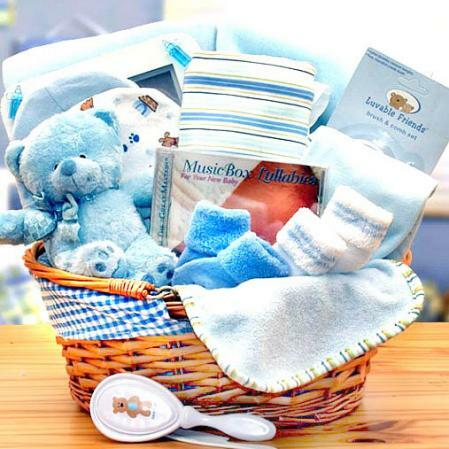 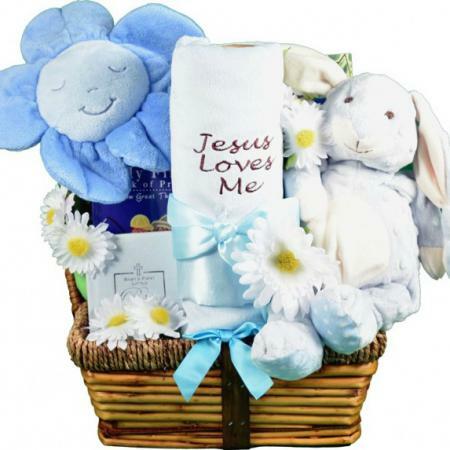 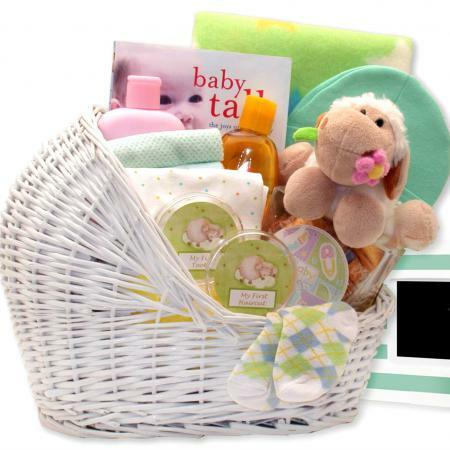 An adorable Moses basket of new baby girl gifts as sweet as a giggle. 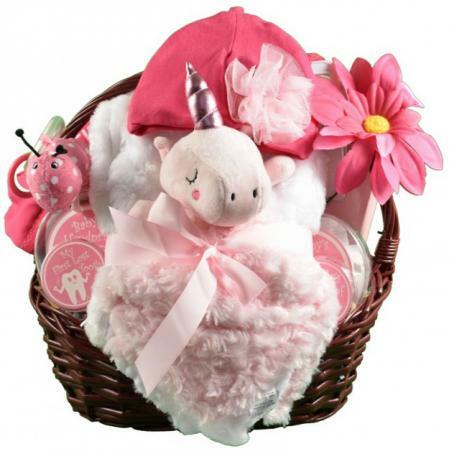 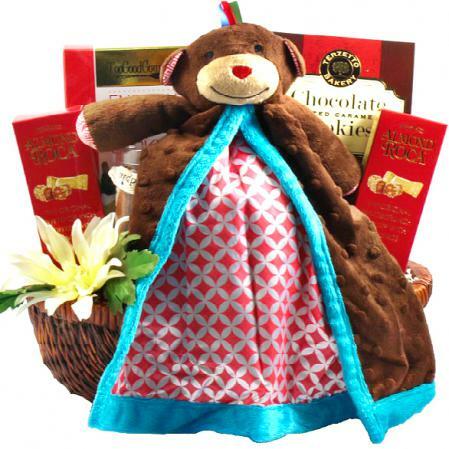 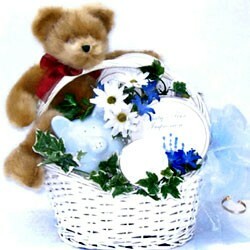 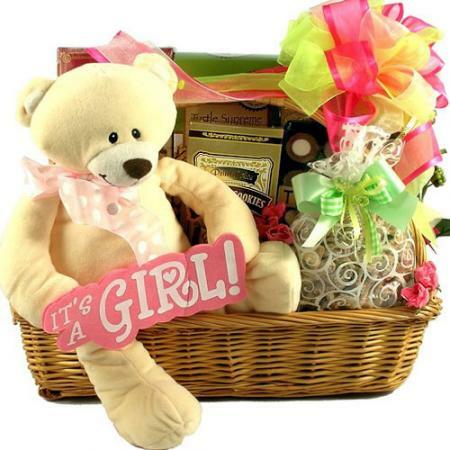 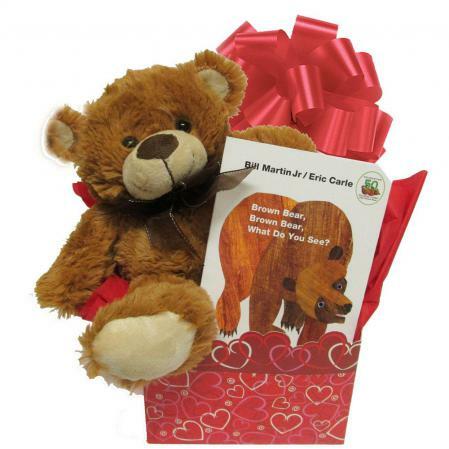 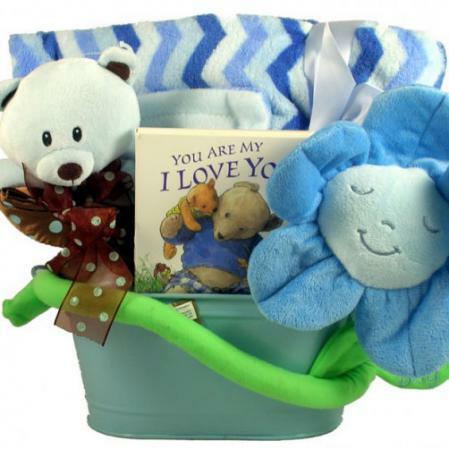 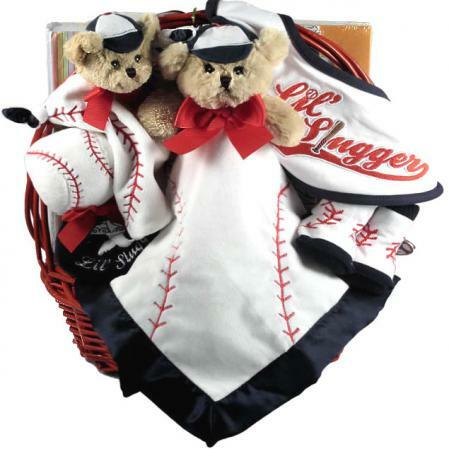 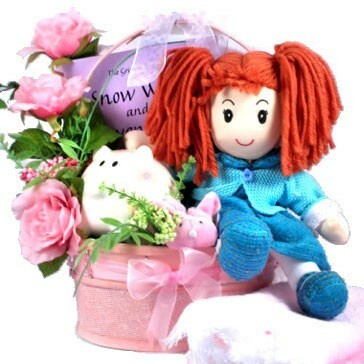 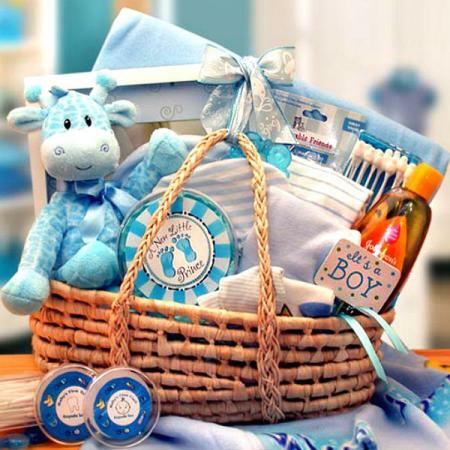 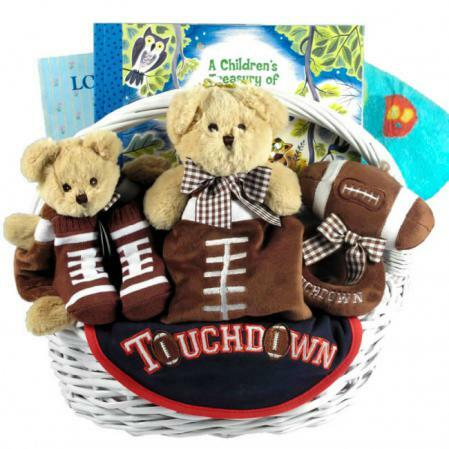 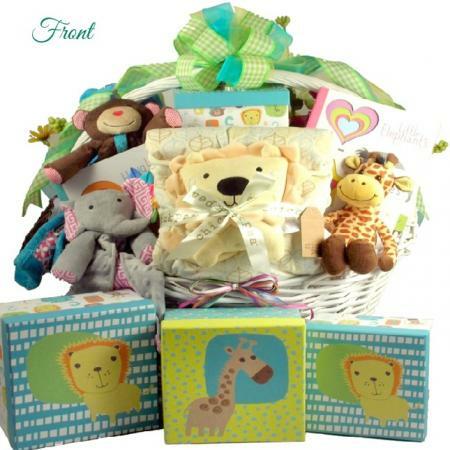 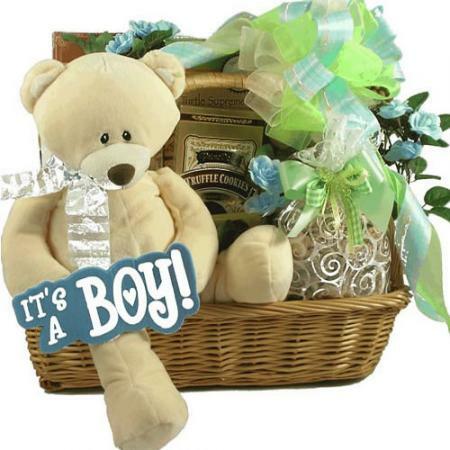 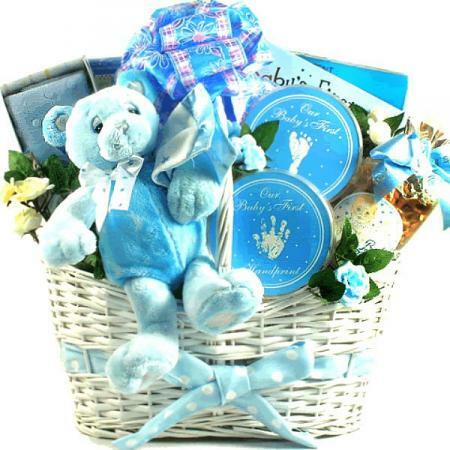 A darling gift for Baby Showers or to welcome the arrival of a new baby girl. 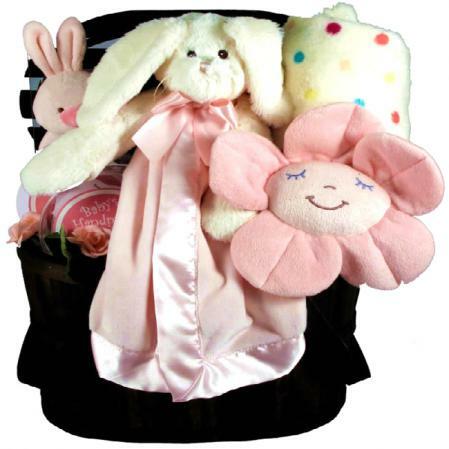 Available in pink or blue, (select color at checkout) the Our Precious Baby New Baby Carrier is a great gift for the new little boy or new little girl! 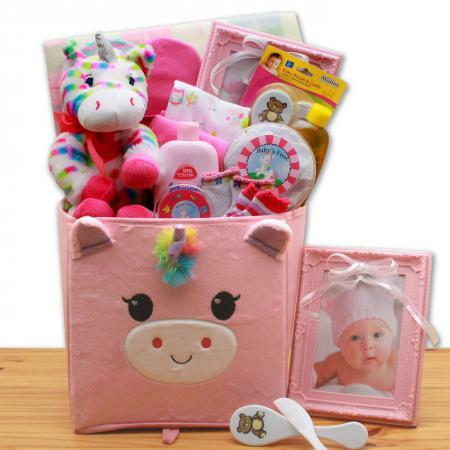 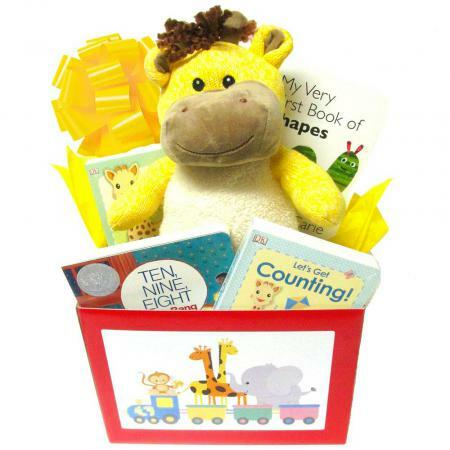 The Moses baby carrier is filled to the brim with baby care necessities as well as playtime items. 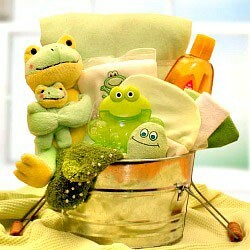 J & J Baby Shampoo 4 oz.